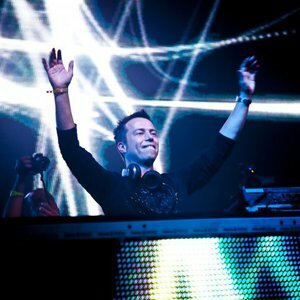 Having made his debut in the world renowned DJ Mag Top 100 at 32 in 2006, before climbing 19 places to No.13 in 2008's poll, and in the following year 2009, Sander van Doorn reached 10th place; sandwiched between Gareth Emery and ATB, the fast rise of Sander van Doorn is a testament to his raw talent and dedication. In just seven years he's clocked up more dance floor destroyers, sell out gigs and awards than most artists do in a lifetime? and his journey is still in its infancy. Whether you love him most as Sander van Doorn, Sam Sharp, Purple Haze. Filterfunk or Sandler, there's no mistaking an SVD production whether it's a remix for Robbie Williams or the Killers or a collaboration with Marco V! Since the release of his debut album Supernaturalistic he has won several awards, played the biggest dance events on earth, done a mix CD for Cream Ibiza, held a bi-weekly radio show, done two Essential mixes, made 4 ?Studio Sessions' videos (giving fans an incite into how he makes his dance floor smashes), launched an online shop, forum and 2 websites as well as made countless tunes, remixes and collaborations and last but not least on his acheivements list? 2009 sees the launch of Dusk Till doorn, Sanders very own concept night!